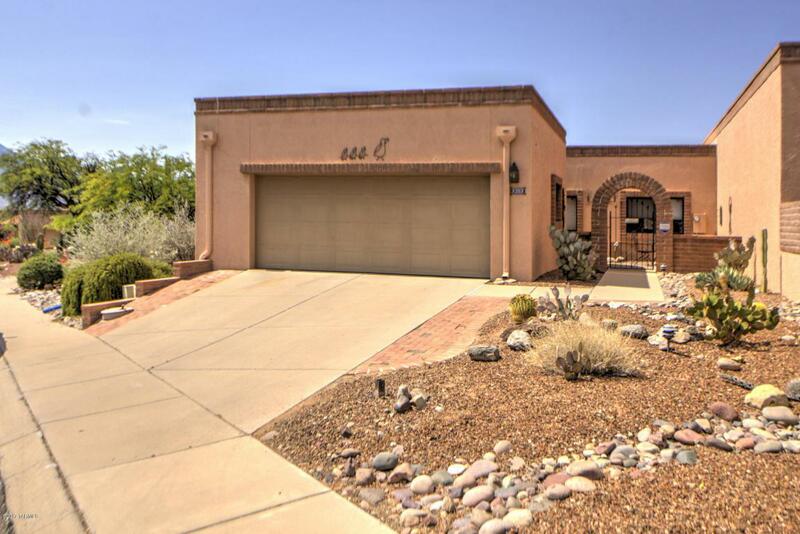 Come see the Outstanding views of Santa Rita Mtns & view of Elephant Head!! 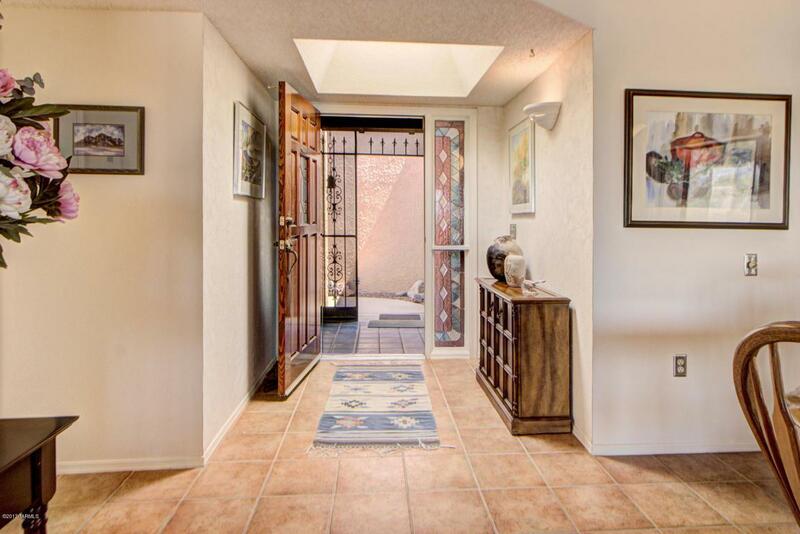 You'll enjoy a perfect setting for relaxing and entertaining from your very private rear patio. Auto rolling doors enclose patio area when traveling/out of town plus 16 ft. wide SunSetter Retractable awning invites comfort. Skylights bring in light throughout the home's open, airy layout. 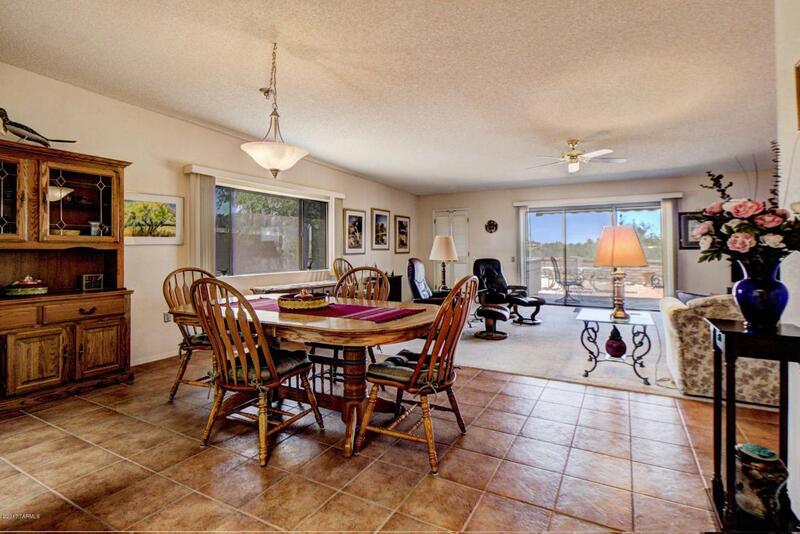 Features include: large den+office, stained glass, wet bar, new cabinets, Corian counter tops, pull out shelves. Both baths have new cabinets, Corian counter tops. Master Bath sports lovely walk in shower. Roof recoated May 2017. Termite contract. Totally furnished! Oversized garage w/workbench. 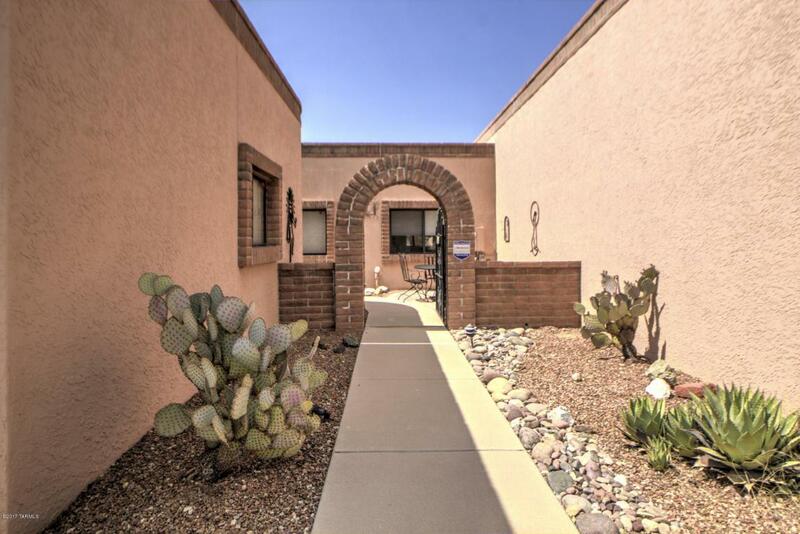 Green Valley Recreation included!